« Easter Eggs Colored with Natural Colors! 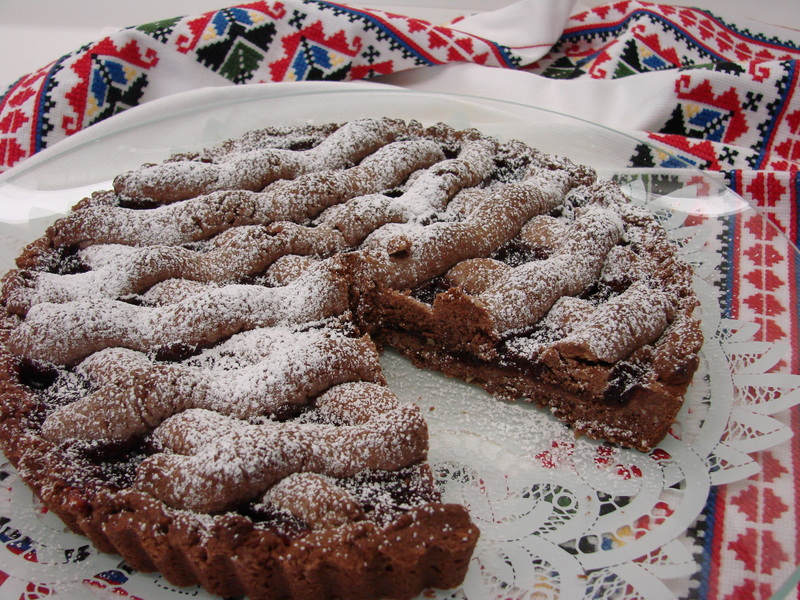 LinzerSchnitten made me think of baking a Chocolate Almond Linzer Torte. As it happened I had a friend visiting over lunch whom I had not seen for almost a year. It was a busy morning with plumbers fixing our well and having to assist them with opening doors and letting them in and out of the basement…….I struggled a little with time. I had about half an hour to fix little Frittatas in ramekins with a some butter lettuce salad which had a few cantaloupe chunks mixed in at the last minute and dressed with an Italian vinaigrette….. I was just about to put the Frittatas into the oven when my friend arrived…it was so lovely seeing her. 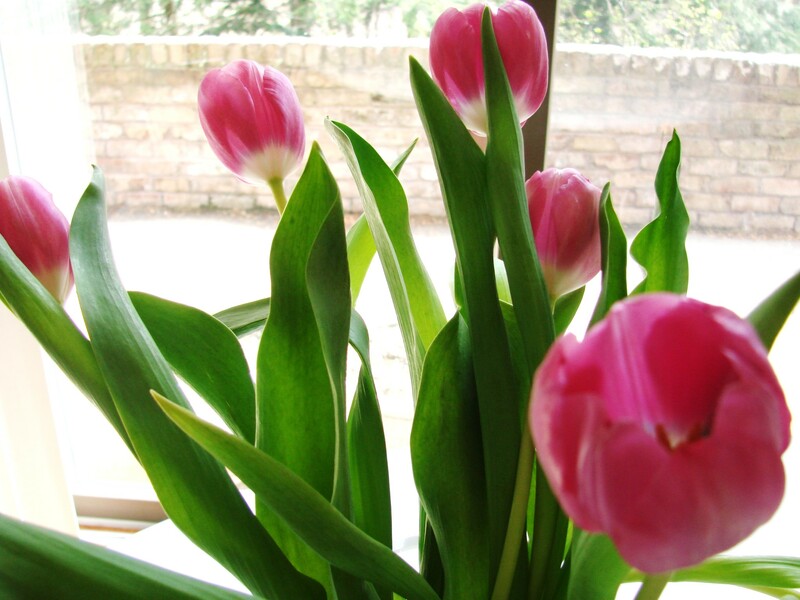 I was happy that I had time to set the table before she came, because she brought me the most exquisite tulips that graced the table so cheerfully. 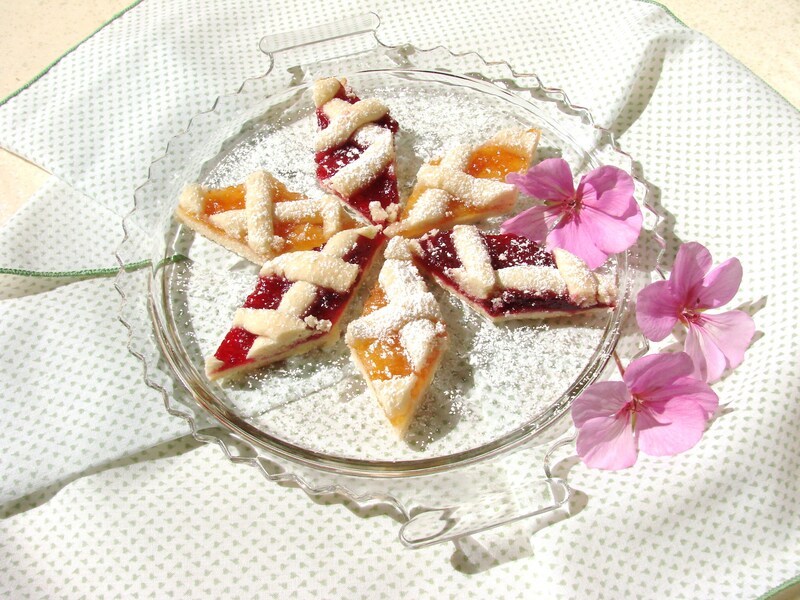 For dessert I served the Chocolate Almond Linzer Torte with strawberry jam filling, and served it “mit Schlag” of course……. Into a food processor ……add the flour and sliced almonds and process until the almonds are very finely ground. Add the butter and quickly process with On-Off intervals…..just to break up the butter into clumps. Add the cocoa powder, sugar, cinnamon and cloves, give it a quick stir. In a small bowl combine the eggs, brandy and vanilla…..whisk until mixed well. Add this mixture to the other ingredients in the food processor and process until it forms a dough. It takes less than a minute. Empty the dough unto a flour dusted surface and sprinkle a little flour over it, since it might be a little sticky. Having dipped your hands into the flour knead the dough briefly and divide it into two equal parts. Cut the remaining dough into two equal parts. Roll them into long strings about ½ inch in diameter and place them onto the jam about 1 ½ inches apart, then roll the remaining dough into strings and layer them cross wise over the first layer……creating a lattice design. 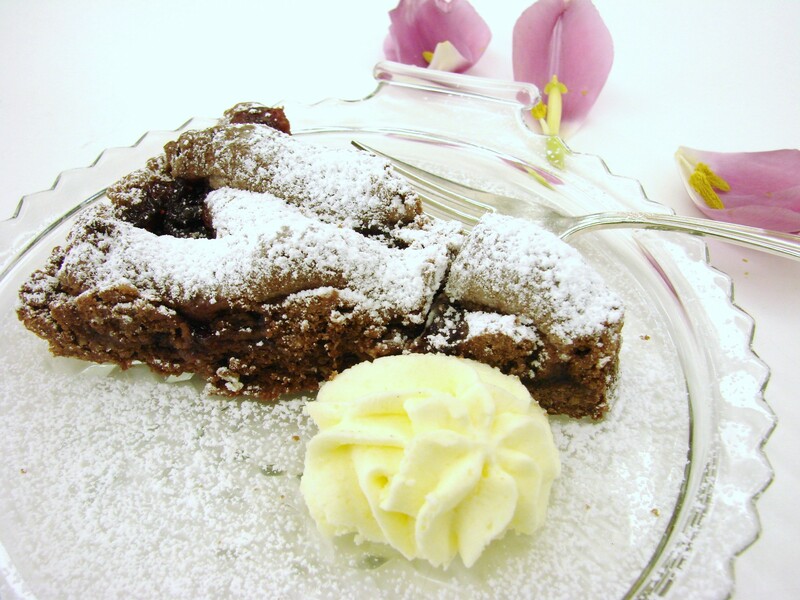 Note: This being a chocolate cake…..it is difficult to see the browned crust……so be careful not to brown it too much. 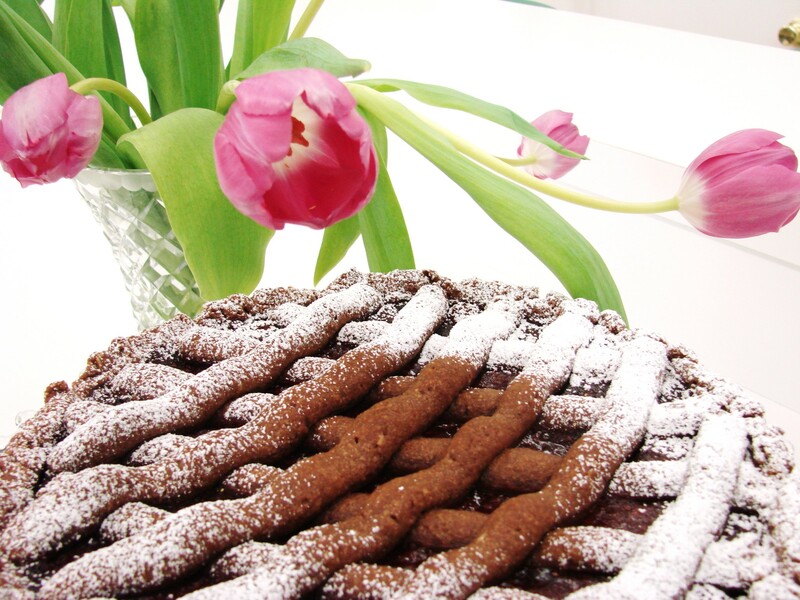 Look for a brown crust around the edge of the cake…….. When baked and cooled…….place the cake onto a platter and dust it with confectioner sugar and serve it with “Schlag.” Whipped cream! Maja’s Kitchen ……… http://www.majaskitchen.com ……. I copied the recipe in my program, and will definitely try it. The addition of cocoa and Brandy is a nice touch! Happy Easter to you! Unfortunately doesn’t look like Father Winter seems to want to leave our neck of the woods any time soon.